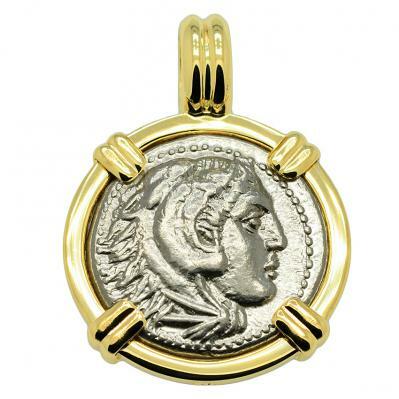 SOLD Alexander the Great Drachm Pendant; Please Explore Our Greek Pendants For Similar Items. This Alexander the Great coin was minted during his lifetime in Sardes, an ancient city of great importance, located at a strategic road junction in the Hermos Valley in present day Turkey. Alexander succeeded his father King Philip II in 336 BC and during this time, Greek Asia Minor was under Persian control. Here in 334 BC, Alexander the Great attacked and defeated the Persian forces at the Battle of the Granicus and then marched his army south along the coast, liberating this region from the Persians. 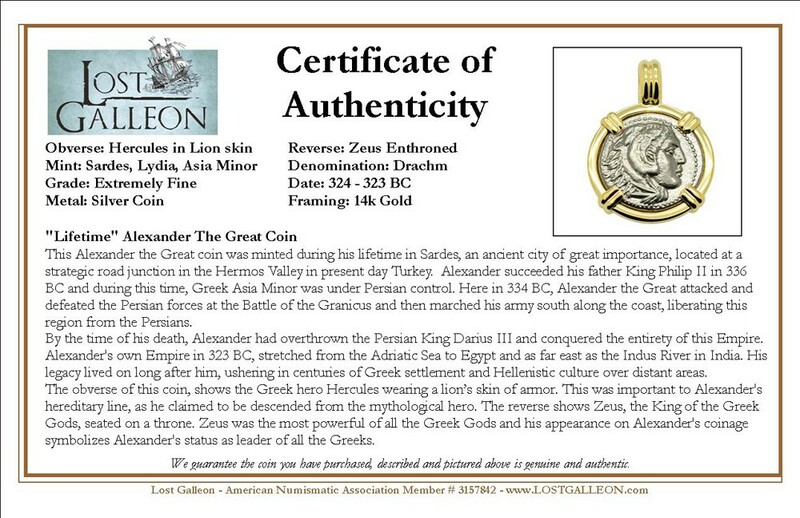 The obverse of this coin, shows the Greek hero Hercules wearing a lion’s skin of armor. This was important to Alexander's hereditary line, as he claimed to be descended from the mythological hero. 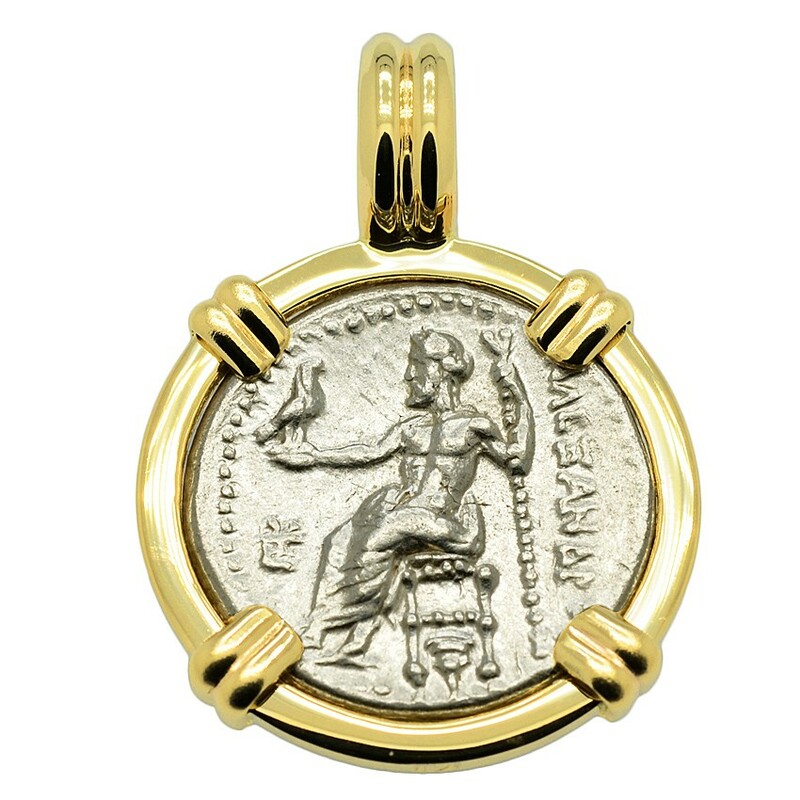 The reverse shows Zeus, the King of the Greek Gods, seated on a throne. 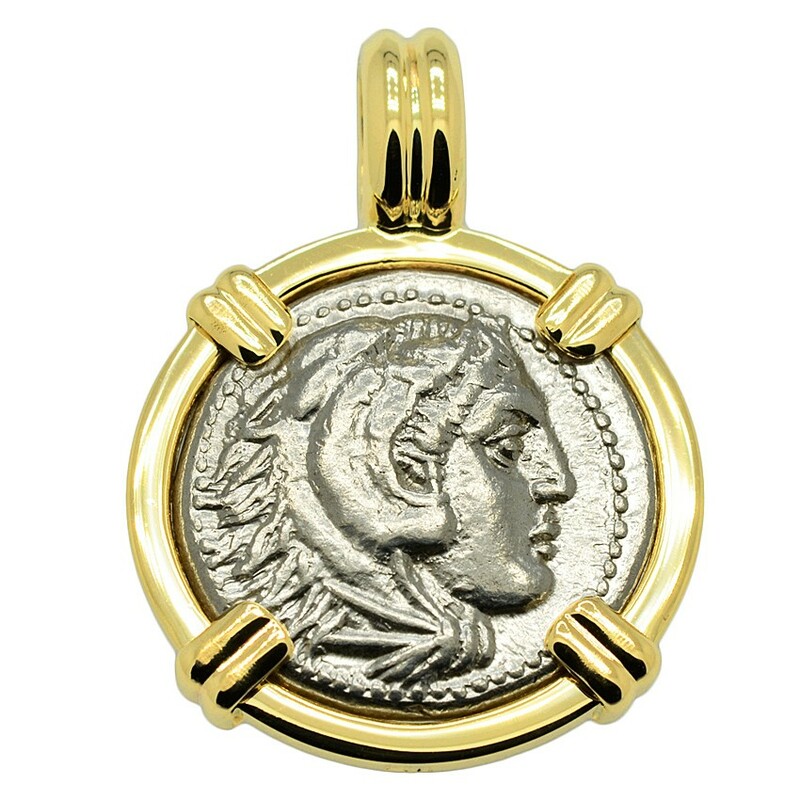 Zeus was the most powerful of all the Greek Gods and his appearance on Alexander's coinage symbolizes Alexander's status as leader of all the Greeks.